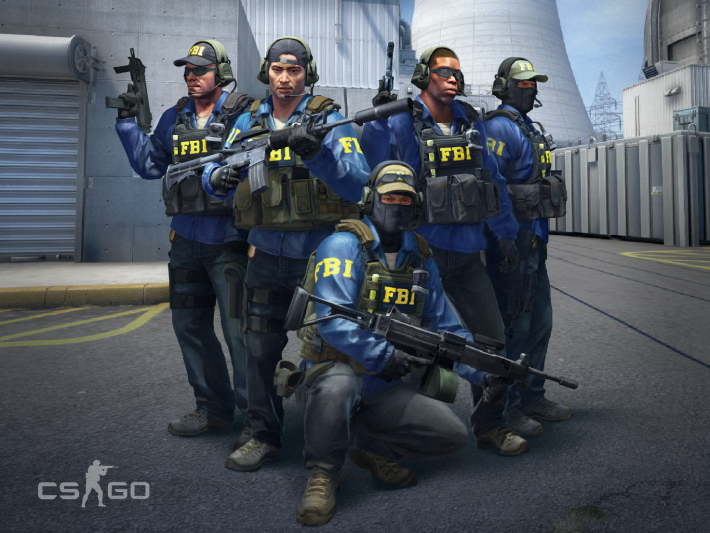 Updated FBI character models have been deployed to Nuke, Agency, and Office. Enabled MP5-SD in official Competitive Matchmaking. Added a new setting “mp_solid_teammates 2” which enables standing on top of teammates while still allowing to walk through them. The feature is now enabled in official Casual, Demolition, and Flying Scoutsman game modes. This update includes an updated version of steamclient.so for Linux dedicated servers which has multiple threading and integration fixes. For a limited time and old version of steamclient.so can still be used on CS:GO Linux dedicated servers. The 2018 Inferno collection and 2018 Nuke collection are now available as rank-up drops. Updated alpha channels on the SSG 08 and Mac-10 in the new 2018 Inferno collection. Fixed rare cases where audio device configuration will not save properly. Fixed the Beartooth Music Kit to respect MVP music volume. Fixed a VRAM leak in threaded Open GL contexts on OSX and Linux. Fixed a rare mouse left-click issue on OSX. Multiple performance improvements for OSX and Linux clients. Added support for DDS files using DXT3 compression. Added support for DDS encoded PNG files. Fixed snowman’s hat not falling off when getting shot in the snow-head.